May 4th & 5th was the 5th annual Bronx Heroes Comic Con. If you remember, director Ray Felix was featured on the first edition of The Spotlight. 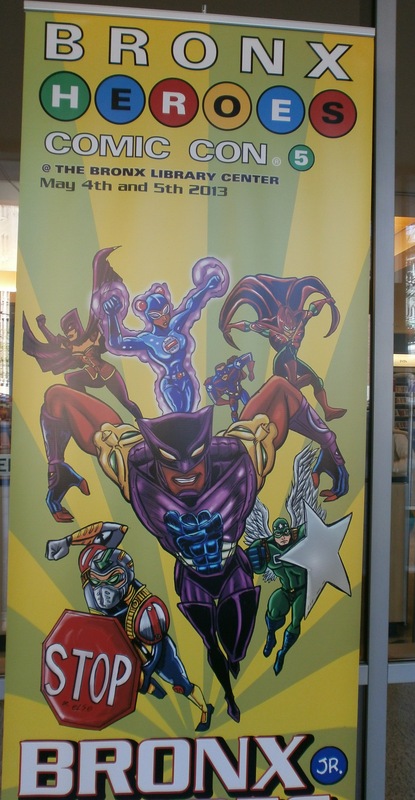 The event featured screenings, talks, and workshops from a variety of comic book artists and authors. There were also tables featuring the likes of Mindy Indy, the Dodgeball Teens, J.M. DeSantis, and Moonbase Comics. I saw the tail end of Vanessa Verduga’s screening/discussion of her webseries Justice Woman, which was super cool. I can’t claim to know a whole lot about comics of the comic book industry (I read a few Archie comics when I was young if that counts for anything! ), but it was really cool to see this sort of subculture at work. It actually got me thinking about learning animation for some of my short stories.